Wow. I am so overwhelmed by all the responses to yesterday's post! I'm amazed by how many of us have had similar experiences. And while you would think that reading everyone else's stories would be even more depressing, somehow it made me feel so much better. :o) Thank you. I'm going to take the advice of many, and take a couple of days off to drink Starbucks and color with Paige. But in the mean time....how about a little giveaway??? 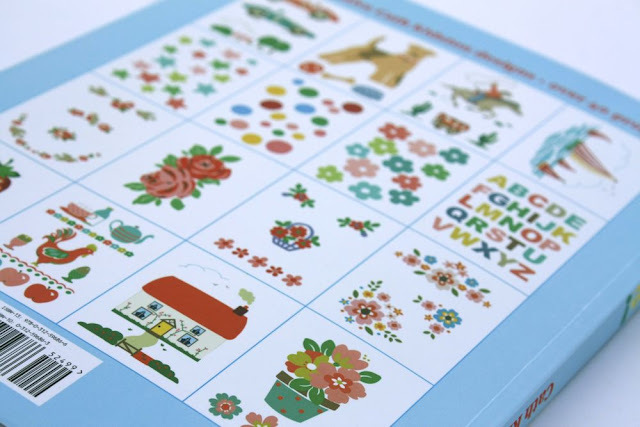 I'm a sucker for vintage-inspired prints, and bright colors, and that's exactly what Cath Kidston is known for! The book has 48 projects, and 16 adorable templates, in color and black and white, that you can trace or copy! 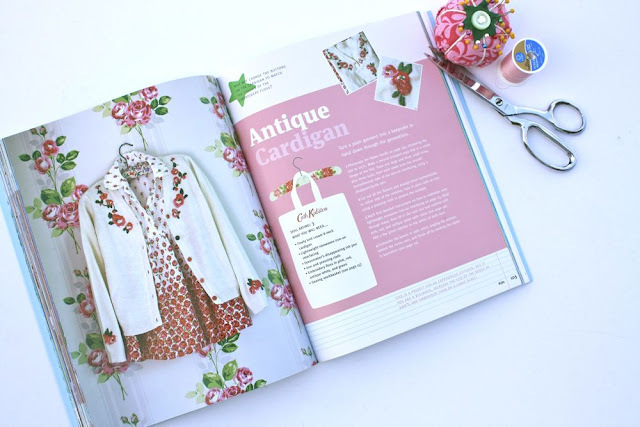 And it also has some great tips for applique, embroidery, and different types of stitching! To enter, leave a comment with your email address, or link to your profile. Oooh! What a great-looking book. Thanks, Disney. Enjoy your break with Paige! Looks like a fun little book! Thanks. Oh yeah, and I have been following your blog since the day I found it! I would love it! Thanks for offering. I love your blog. that looks like an awesome book! and I am DEFiNiTELY a follower! P.S. enjoy coloring and Starbucks! Your little one is ADORABLE! This is my first time entering in on one of these awsome give a ways...hope Im lucky on Friday. I want it! I want it! Such a lovely book. Thank you for the chance to win. That book looks so amazing and cute! I would love to win it! I posted a link on my FB. Wonderful book. I love giving homemade gifts. This looks just like the perfect inspiration. By the way I love your blog and I wish I had more time to try everything out. Sooo Pretty!! thank you for the Chance Disney! That book looks really cute! I'd love to have it! How fun! What a great giveaway! My 2nd entry. I am already a follower. What a perfect gift for my BFF! OOOH! I want it. What else can I say. This looks great. Thanks for the giveaway. You inspire me with your creativity ...thanks for the offer. Thanks for this chance! Your website is so awesome!!! Every post makes my day. Enjoy your few days of rest! Thanks for the chance to win. Man, I wish I could buy some Cath goodies in the US. Count me in on the giveaway! Fun! Fun! Fun! Oh, the fun things we could create! Of course I already follow you, Disney. You're too cute to miss. This book is right up my alley! I would love to win it! I would love to win the book! Thanks for a great contest. I would love another entry--I am a subscriber to your blog via my feed reader. Thanks for the chance at such a lovely book. And thanks for this wonderful blog that brightens my day! Love your blog and your giveaway. I repurposed one of my tops last week with one of your tute's its on my blog if you would like to check it out. Do you have a flicker page for peoples creations? oooh that looks like loads of fun! Thanks for sharing! i posted a link to my blog for this awesome giveaway! this is a great book! i would absolutely ♥ to win!! thanks for the chance! Looks like a fun book! I am new to sewing and could use the ideas/help! Oooh what fun! I love this giveaway! That book looks amazing! yes, please! Looks like a cool book! I am on the library's waiting list for this book. It would be much more fabulous to own it!!! ...and i'm a follower too! I would LOVE that book!!! Oh my!! I would like it, yes!! I almost hate participating in giveaways, as I feel like I am aiming for a handout - BUT - I have been pining for this book since I saw it!! I know whoever gets it will be SOOOOO happy! and of course i'm a follower! I would love to win this book!!! oooh! I'd looove to win! Nothing like a giveaway to bring a previously non-commenting reader out of the woodwork. I have been reading your blog for the last month or so and love it! Thank you for being a regular source of inspiration to me! That book looks so amazing! I would love to win it!! That book looks so cute! I'd love to have this treasure of a book! Sounds like a great book! I had not heard of it before. Just linked it on my blog. I put a link on my facebook! I just put this book on my "wish" list above my work area! This book looks FANTASTIC!!!! I hope I win! I hope I win! I hope I win!!!!! 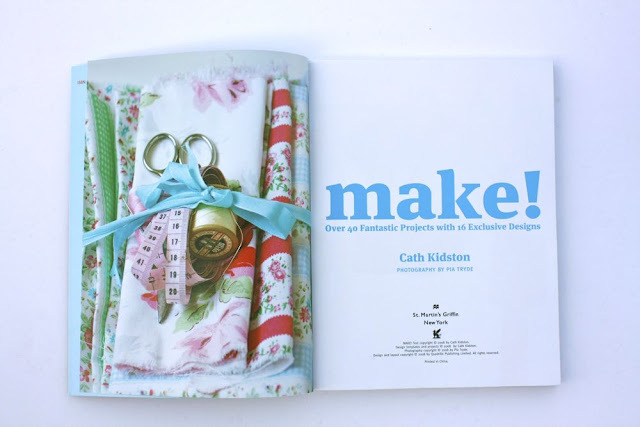 The book of endless possibilities with projects. How wonderful. Would so love. Just posted a blog about the giveaway! Thanks for the chances to win such a cute book! What a great book! I am a follower and enjoy it so much! I Follow your blog and would love this book. And I shared it with everyone on Facebook and twitter. That book looks awesome!!! I hope I win! Love to win - such a cute book! I love your blog...and I would love to win this book!!!! Thanks for this giveaway, it looks so great!!! I'm a twitter follower, too! Oh, Oh, Oh! I love Cath Kidston! Oh, yes, I would love to be included in the drawing for a chance to win! I love your blog and I love that book! Have a great day and thanks for the chance to win such a great gift. 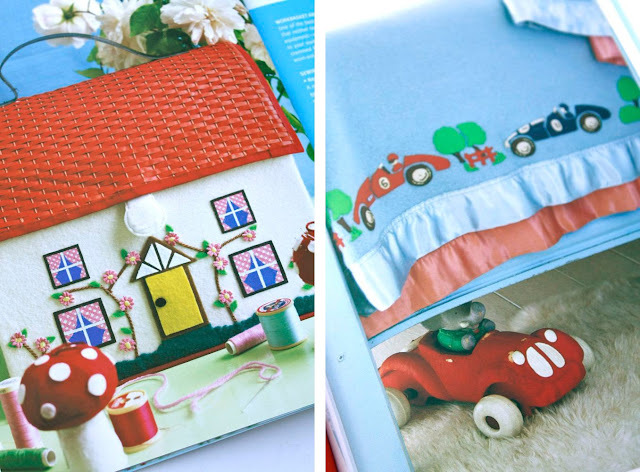 Looks like a great book to add to my sewing desk!!! I am in love with this book! I love free stuff and I love your blog too! Thanks for changing your mind about this giveaway! I hadn't seen this book before and would love to have a peek! 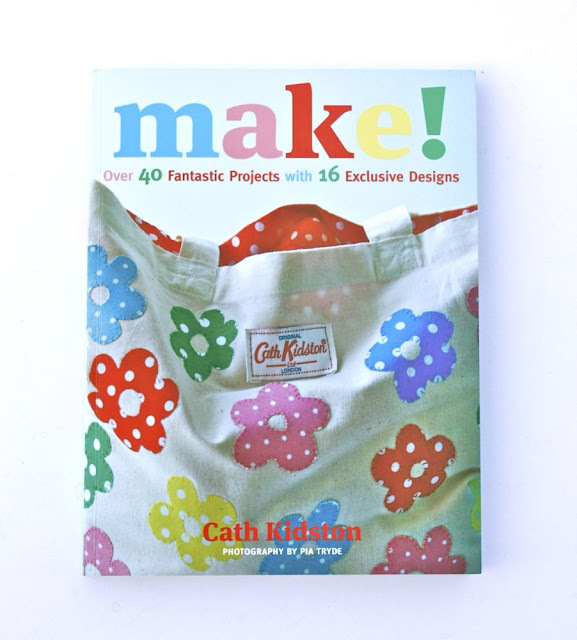 A craft book! Yes :) So cute! I like that you don't promote too many products. This one is really cool though! Pick me!